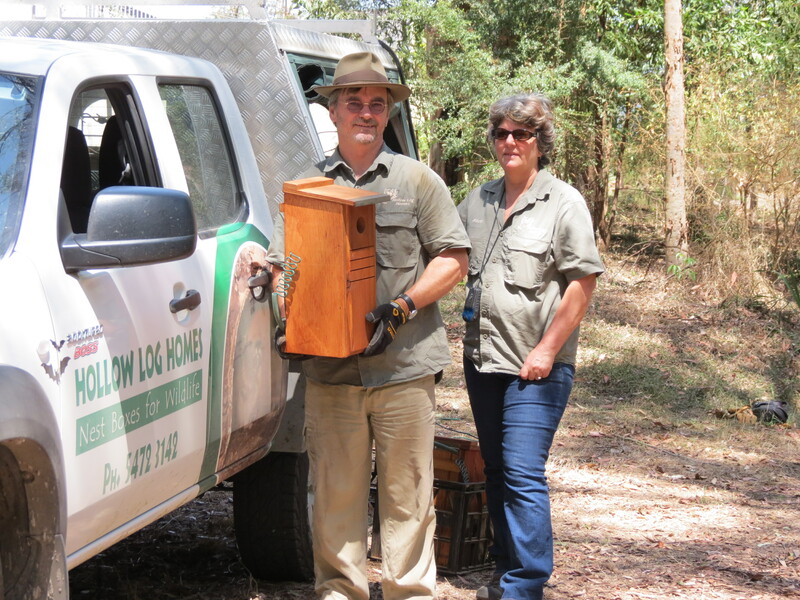 Alan & Stacy Franks of Hollow Log Homes visited Fox Gully Bushcare today to install ten new nest boxes to provide breeding habitat. limited number of trees older than 100 years and only a very small number of tree hollows suited for nest sites. Smaller bird species like Scaly-breasted Lorikeets and Pardalotes are particularly impacted as they are out-competed for the limited nest sites. 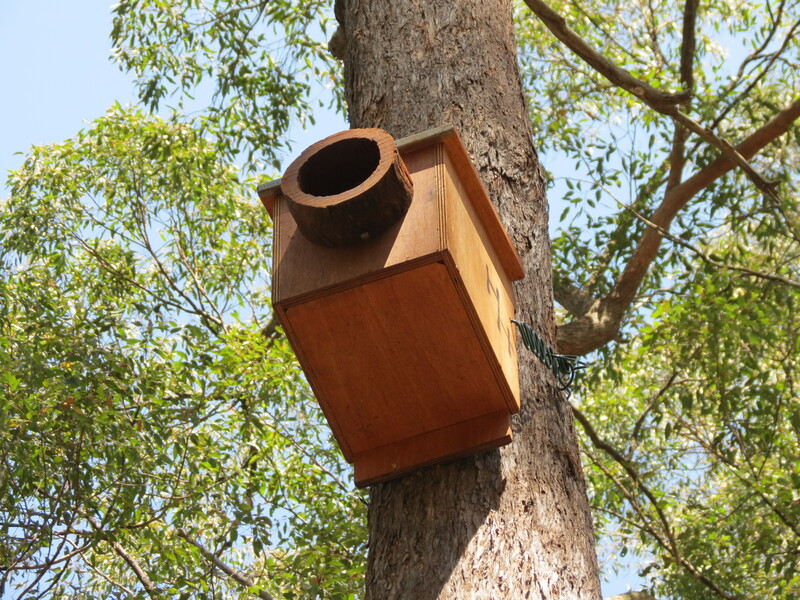 Nest boxes can be used to help restore the balance in the habitat. 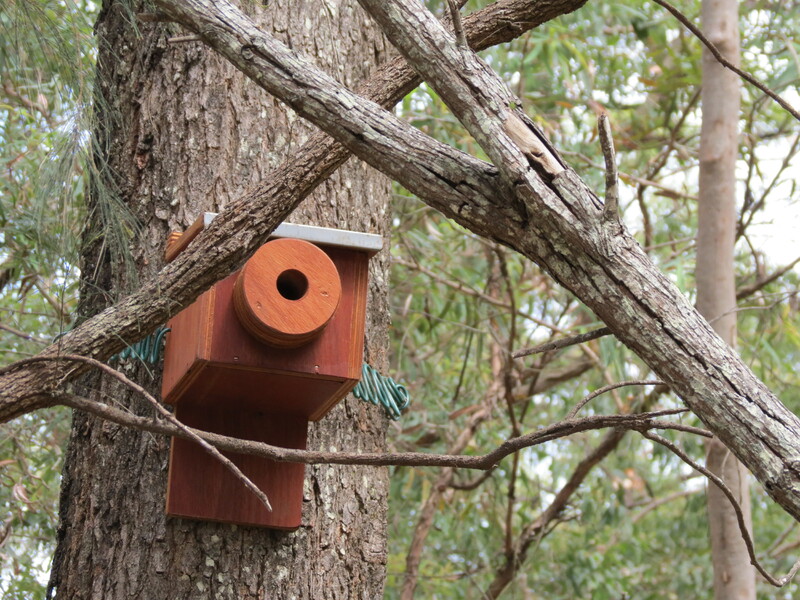 BCC Habitat Brisbane have contracted Hollow Log Homes to install nest boxes for Boobook and Barn Owls, Kookaburras, Pardalotes, Scaly-breasted Lorikeets, Rainbow Lorikeets/Pale-headed Rosellas as well as boxes for Sugar & Squirrel Gliders. 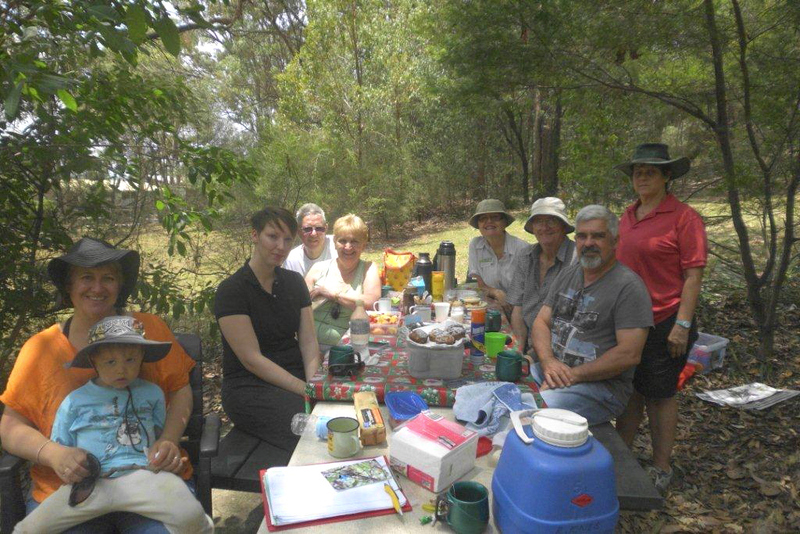 Saturday 26 December – Morning tea after a morning pulling weeds and planting at Gertrude Petty Place Bushcare. A simple happy and appropriate way to celebrate another successful year. Our Gertrude Petty Place team have been steadily cleaning up the gullies and doing restoration planting. To October the team has put in 211 volunteer hours and planted 249 native plants most of which were propagated by the team members themselves. Missing from the photo are Sheamus O’Connor who organised the Mt Gravatt SHS planting at the start of the Summit Track and Brett Dugdale – Rover Street Bushcare … and Kate Flink our wonderful BCC Habitat Brisbane Officer who was taking the photo. It is important to note that 211 volunteer hours is only the time spent on-site. As well as that time our volunteers spend time on propagation, talking to school and community groups, applying for grant funding, preparing track guides and coordinating corporate groups like Conservation Volunteers Australia and McGregor Lions. 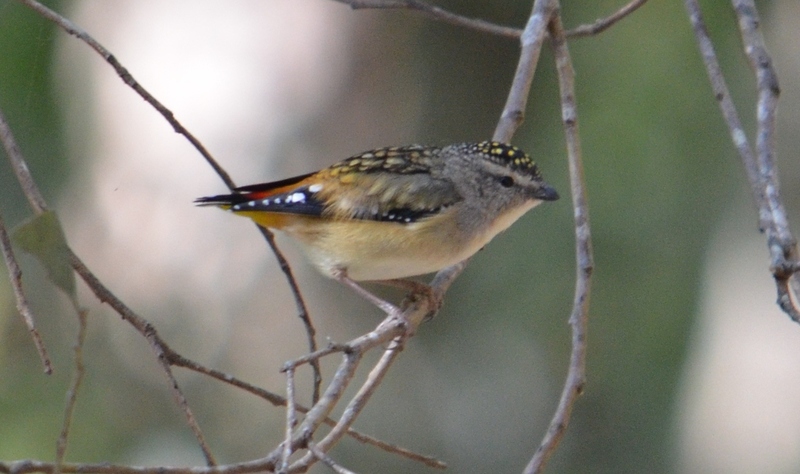 Others generously contribute information and photos of wildlife like the Spotted Pardalote Pardalotus punctatus and Black-faced Monarch Monarcha melanopsis. 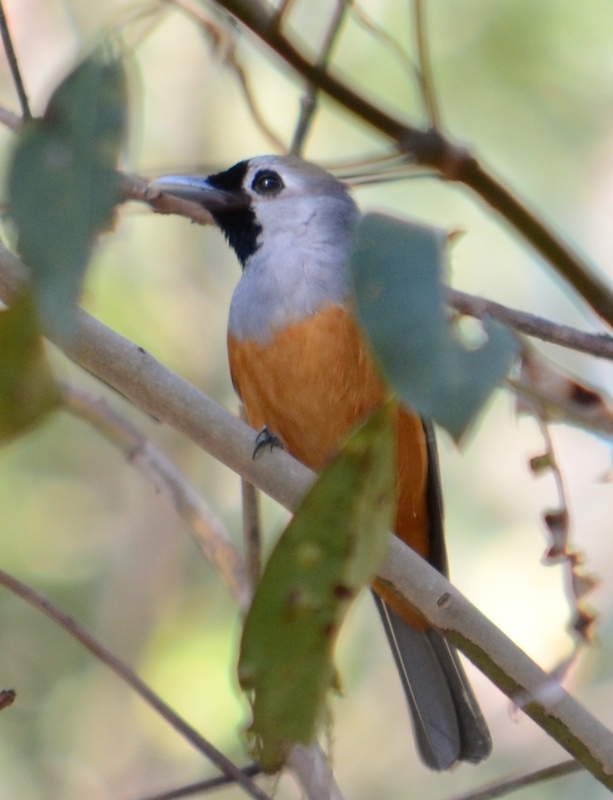 Andrea has added three bird species to our Flora & Fauna of Mt Gravatt Reserve bringing our count to fifty one bird species in the Reserve.